This month, something magical happens. Though summer supporters grieve, fall fanatics rejoice at the fresh splendor of that first crisp breeze and golden leaf. Autumn is arriving! The days are cooling off, but you shouldn’t give your budget the cold shoulder. Above and beyond your regular monthly expenses, keep these September-specific deals and expenses in mind as you update your budget for the new month ahead. Most people aren’t thinking of next summer’s fashion needs, but you are, savvy shopper. Stores want to clear out the old so they can bring in the new, and they’re near desperation to get rid of the things that didn’t sell in August. Take advantage of those sales! Look for items your kids will need next summer—just go up one size. Shop your own closet and put together a list of pieces you need to replace. It’s the best time of year to stop taping your flip-flops back together, so get a new, super-discounted pair. Have you ever winterized your wardrobe? 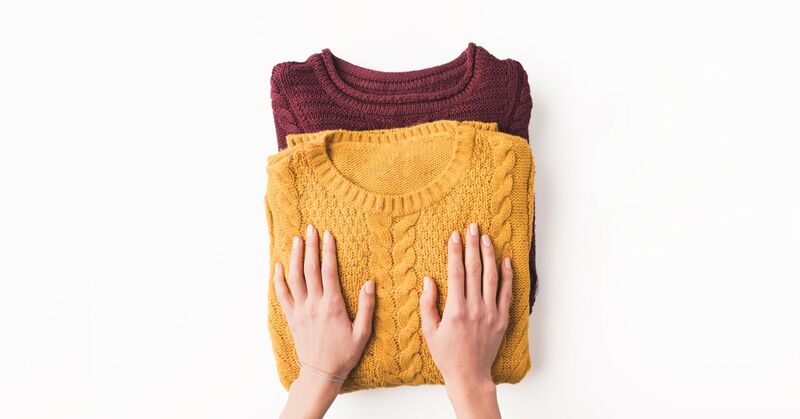 It doesn’t involve rubbing ice on your pants—it means finding ways to use your spring and summer clothing in colder seasons. Add a cardigan to that sleeveless dress or a jacket to that light-weight button up. Knowing this trick, you could buy a couple summer sale items and use them right away! Waiting has its rewards, but you can have fun right now too. You don’t have to be green with envy over your neighbor’s lush lawn. This fall, take matters into your own hands and give your yard some TLC that will pay off next summer. Early September’s the perfect time to reseed your lawn so the seeds will germinate in the warmth and mature in the cold. (1) Also, mowers and other lawn care items are on sale this month. After all, stores need to make room for the Christmas season’s giant blow-up décor and life-size, light-up reindeer. Maybe you think we should rename this holiday “Lazy Day” since tons of people get off work this first Monday in September. Whether you like to play with friends, shop the sales, or take it easy during your three-day weekend, think ahead to how this holiday will impact your spending. Cookouts, parties, mini-vacations, shopping: All are fun, but all cost money you need to budget for as well. As a chill hits the air, you suddenly realize the hydrangea-filled vases on your mantel don’t make seasonal sense anymore. Autumnal embellishments are everywhere, and if you’re into decorating, you know you’ll be itching to replace the vibrancy of summer’s style with the warm hues of fall: pumpkins, leaves, burlap, and all the orange—all of it. Give yourself the chance to change out your décor by planning and budgeting ahead! You’re being clever with your clothing money this month by taking advantage of end-of-summer sales, but you’re also thinking about how those cardigans, scarves and warm socks will be necessary any day now. Though fall attire is about to be in high demand, stores run deals all the time. If you need boots for leaf crunching, put it in the budget—and wait for a sale. When the weather cools off, the people come outdoors. It’s a remarkable weather phenomenon. But much of the fun requires funds. Apple pickers, campers, glampers, hayriders, barn dancers, and corn mazers alike—don’t let your money goals fall with the leaves; you can responsibly revel in the season ahead. Get ready—pumpkin-flavored EVERYTHING is coming. Very specifically and super importantly, the Pumpkin Spice Latte is finally released to an eager public in September! Don’t deny yourself its goodness just because you were unprepared. Probably the worst part of finding out Santa isn’t real is realizing that means you have to do all the shopping in adulthood. Or maybe you love it. Either way, holly jolly isn’t free. It’s been a couple months now since we challenged you to set up a Christmas fund in your budget—don’t wait until December to start saving! In addition to saving, you can battle the holiday season’s long lines and over-priced items by taking advantage of those September summer-item sales. Who on your list would love that garden gnome or flamingo beach towel under the tree? You can buy unique gifts for a great deal, as long as you’re thinking ahead. Set up your September budget in minutes! Don’t have an EveryDollar account yet? Get one free today!